What the League is all about & info on who is running it. 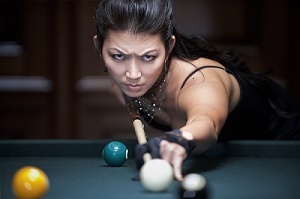 Tampa Bay APA Pool Leagues is owned and operated by Jeanette Lee "The Black Widow". She made Tampa her new home in late 2015 and chose to continue her efforts to grow the sport but in a new way, by sharing her love of the game to everyone in Tampa Bay. Winner of every major title in the sport as well as becoming an inductee into both the Billiards Congress of America and Women's Professional Billiard Association Hall of Fame for her contributions both on and off the pool table, she knows a thing or two about how to improve your game. Yet it was her flair for entertaining her fans that drew the attention of the American Poolplayers Association that signed her up to become their national spokesperson. Don't let her table demeanor fool you, she is as approachable and friendly and loves to share her passion for the game. She recognized the reasons why they are by far the largest Amateur League in the world was because with APA, everyone can play, and anyone can win- Even You! Tampa Bay APA currently boasts over 100 teams that compete weekly in 8-Ball, 9-Ball, Masters, Ladies and Junior divisions. There are over 700 local members and growing. We are the largest and most established pool league in the Bay area and surrounding towns of Tampa Bay. We offer people a fun and affordable night out with friends, family or co-workers. Tampa Bay APA gives members of all ages and skill levels, across the area, the opportunity to participate in a well organized and professionally managed amateur pool league. Being a member of Tampa Bay APA also gets you member discounts at both national and local venues. We also offer a variety of tournaments for our APA members as well! Tournaments include both singles, doubles, and team tournaments that range from local qualifying tournaments, cash payout tournaments and Vegas Qualifiers.Tampa Bay APA pays out over $50,000.00 annually in cash, prizes and travel assistance!!! Add that to over $1.5 Million paid at National APA Tournaments and you can see why the APA is the # 1 amateur pool league. Contact the league office today at 813-977-1499 to become an active member to take part in the best there is to offer! The American Poolplayers Association was founded in 1979 by professional poolplayers Terry Bell and Larry Hubbart (pictured above). The two men realized the popularity of the sport and knew that, unlike other sports, there was no existing league system for recreational players. In the beginning the league was called the National Pool League. But, over the years, the APA Pool League has gone by different names, including The American Pool League, Busch Pool League, and Bud Light Pool League. However, in 1981, it was changed to American Poolplayers Association (APA). Renee Lyle-Beddingfield, (pictured above), has held the position of APA President since April of 1995. As President, she has total responsibility for overseeing the daily operations and future growth of the League. She was appointed to her position by former APA President Terry Bell, when he stepped down to assume a position on the Board Of Directors. The APA has grown to more than 265,000 members and provides fun and benefits to more members than all other "national" leagues combined. The League is administered locally by League Operators which consists of a network of Franchise owners by counties. 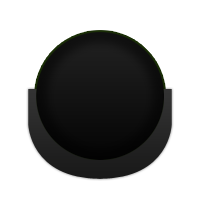 League play is conducted weekly in a variety of both 8-ball and 9-Ball team formats as well as alternate formats. One of the keys to the success of the American Poolplayers association is The Equalizer® , a unique handicapping and scoring system that makes it possible for players of different playing abilities-especially beginners and novices to compete on an equal level with more skilled players. The Equalizer uses a formula that measures a player's ability. The result is a handicap of how many games a player must win in 8-Ball or the number of points a player must earn to win a 9-Ball match. APA League teams have the opportunity to advance to the APA World Pool Championships each August in Las Vegas. During the WPC, APA also has the ladies team championship and the Jack and Jill championships. For those of the higher skill level, the Masters championship is also held during this summer event. In 2010, Guinness World Records recognized this event as the World's Largest Pool tournament. The APA also hosts additional tournaments in Las Vegas. The APA National Singles Championships, National 8-Ball Doubles, National 9-Ball doubles and the wheelchair challenge are scheduled in the spring. APA pays out a combined $1.5 million annually at these tournaments. The APA also conducts the U.S. Amateur Championship, which is the only competition open to APA members and nonmembers alike. The tournament began in 1994 and has grown significantly over the years.